I often wondered why it seemed like I was the only one with so much difficulty in school. I would cry a lot and often felt like I was on the “outside” looking in on a world that just didn’t make sense to me. My parents hired tutors, and that just made me angry. They were just pushing me to do more of what I couldn’t do already. The labels of stupid and lazy began to stick. I remember the sting of the tutors shaking their heads in hopelessness when they talked to my parents as if I didn’t see. By the time I was in Junior High, I was two years behind in school. My parents decided to home school me. They handed me my books and said, “Here. Learn.” Instead, I spent all the time I could outside on the farm. Unfortunately, I was overlooked due to their divorce. Then I went to high school. I barely made passing grades. I would do alright listening in class. but when it came to reading the assigned materials and completing the writing assignments, I had such a hard time. I knew in my heart that I wanted to be a doctor. I was good with people and found all the science classes fascinating. I knew that I wasn’t going to be able to get through all the reading material so I chose to go into teaching. I don’t know how I made it through college but I did….only to find out that I couldn’t pass the “teaching boards” known as the CBEST test. Everyone I knew passed it and said how easy it was. Of course, only I can’t pass an easy test. I was at a loss. What would I do? I was working in a gym as a personal trainer for minimum wage, newly married and couldn’t get a teaching job because I couldn’t pass the CBEST. I took the test again and again and again. After the 12th time, 5 years and two kids later, I gave up. I did odd jobs here and there feeling totally ashamed that I couldn’t support my wife and family. My wife passed the CBEST and had a great teaching job. The total humiliation of it all was sometimes just too much. When my oldest daughter was in first grade my wife and I were concerned because she just wasn’t picking up the phonics like everyone else was. By second grade, I knew that she also had the same learning problems that I had grown up with. My heart grew heavy when I realized this, and I didn’t want my baby girl to have to suffer like I did. I vowed to do anything within my power to see that she had more success in school than I had. Thus began my quest to help her. My wife and I spent thousands of dollars on tutors, reading recovery, games, programs, and books. You name it; we bought it; we did it; we went through it. We would tell her, “Okay, honey, just do this and then you should be able to read better.” Nothing seemed to really work. In fact, most of it did more damage than good. The poor kid began to think something was really wrong with her. All those old feelings came rushing back to me. I just couldn’t bear seeing my daughter suffer like I had. As a matter of fact, those terrible feelings about myself had never really gone away, and were now even more pronounced. I was now more determined than ever. I was going to find something–something that would really make a difference in her life. Call it luck or Providence, but my mother sent me a book in the mail titled, The Gift of Dyslexia by Ron Davis. Snidely, my wife said, “Some gift, dyslexia is.” I hadn’t read a book since college nor did I want to. Intrigued by the title, my wife picked it up and started reading. She couldn’t put it down. She would read sections of the book out loud to me and ask questions like, “Can you turn the letters this way, and can you see around the letters?” Totally shocked that I answered, “Yes,” she continued to read in amazement. She was unable to put it down, and she read the entire book in one sitting. My wife was so excited about everything–the book, the program it offered, and the possibilities for me and my daughter. Then the reality began to set in. She started getting discouraged because of all the other programs that we had tried with no positive results. What if this was just another one of those programs–one that got our hopes up but just didn’t work? Everything we had tried had promised so much and delivered so little. We were desperate and I just couldn’t stand by and do nothing. After careful consideration, we came to the conclusion that we had to try the program. The school system certainly didn’t have the answers and neither did we. Totally tormented with the idea of telling our daughter that she had to do yet another program, my wife had a great idea. She “strongly” insisted that I go through the Davis Dyslexia Correction Program FIRST. THEN, if it helped me, she would allow our daughter to complete the program. Even though I was 36, lacked self-confidence, dreaded reading and filling out paperwork, and let’s not forget, I had a $60,000 college education that I had never been able to use, what could I lose. I’d been there, done that. What’s one more program. If it was going to help my daughter then I was going to do it. I wasted no time. 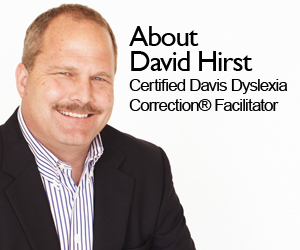 I got on the phone and contacted the Davis Dyslexia Correction Program and was put in touch with a facilitator. Before I knew it, I had completed the first day of the program and I was totally blown away. As the week went on, I was becoming more and more free of the confusions that had plagued me my entire life. Once the orientation was done and the triggers in my reading were dealt with, everything started coming together. My wife was astonished. She couldn’t get over the changes she saw in me. Pleased with the results, she said she would have paid double the price just for the confidence I had gained in myself. Simply blown-away by the drastic change in me, my wife wholeheartedly agreed to send our daughter two weeks later. I went with my daughter and I was, again, riveted. My daughter had amazing results with the program. My wife was skeptical, not believing that our daughter was having so much success with the program in such a short time. On the fourth day, my wife came with us. She began to understand some of it better, but she wasn’t prepared for what she was about to witness on our car ride home. Curiously, my wife asked our daughter, “What are you doing?” She casually responded, “Writing.” Stunned, my wife grabbed the paper out of her hand and began reading it. Crying, she said, “How is this possible? She has written a whole page and everything is spelled correctly!! !” My daughter, who HATED writing and would seriously cry if you asked her to write a simple paragraph, had written an entire one page, four paragraph princess story in the car on the way home. I had never seen anything like it. My wife had cried many bitter tears over not being able to help our daughter in the past. It was very healing to watch her now cry tears of joy. My daughter was so happy and was really proud of herself. Her self-confidence was growing. It was the most dramatic turning point in her life. Within a few months she was at grade level and was able to skip a grade in order to rejoin her peers. Even my confidence level was growing everyday. I began reading books for enjoyment and experienced less fear so I could tackle simple daily writing tasks (like writing a check). I decided to look into becoming a Davis Dyslexia Correction Program facilitator. Sure enough, the requirements were doable and there was no final written test. It took two years to complete the courses and then I was officially a Davis Dyslexia Correction Facilitator. It was one of the proudest moments of my life. After all I had been through, I decided that I wanted to try–just one more time–to take the CBEST that I had tried so hard, so many times before to pass, but just couldn’t. My wife was perplexed since I had no intention of teaching school, but I just wanted to see if I could get this thing nailed. It was the last thing standing in my way to get my teaching credential. I signed up for the test and, for the thirteenth time, paid the money. I have to admit there was some real fear that I was going to fail. I used my Davis “tools” that I had learned and, for the thirteenth time, took the test. Two months passed, and then it came! The dreaded test scores. Was this going to be as disappointing as the last twelve times I had opened the envelope? I took a deep breath, opened the envelope and screamed my wife’s name out. She came running asking what was wrong. In disbelief, I exclaimed, “I passed!!! I passed!! !” I showed her my score, and she exclaimed, “No way.” My score was actually higher than hers….way higher! She was so proud of me. And I am proud to say, so was I. THIS passing grade on the CBEST was the only thing standing between me and my California Teaching Credential. THAT was a proud moment! My daughter is now a Junior in High School and has a 4.0 GPA. She loves to read and she loves writing amazing stories. She is shy by nature, but I shudder to think where she would be emotionally if we hadn’t found real help for her. I am truly blessed to have found the Davis Program, not only for my daughter but for myself. The tools I have learned have changed my life. After all the years of humiliation, confusion and fear, I am finally doing something that not only energizes me, but also allows me to help others. I am so thankful that my wife “strongly insisted” that I give the Davis Program a try. Not only has my life changed, but now I am capable of helping you change your life too. Congratulations! Good luck for your new career! I like your new website. Thanks for telling us about it. I feel it will meet a real need for understanding where a family facing this problem could get assistance. I found your site through a link on the http://www.dyslexia.com site, and was curious. I just read your story, and I think it is deeply moving and inspirational. If you can deliver the same kind of message by speech – which I imagine you can – I am sure your talks are going to be a great success. I just wrote an e-mail to a person interested in training as a Davis facilitator, who thinks the training is too expensive (I am in South Africa). I told her that when considering costs, you need to consider the value delivered. I also told her that it takes direct experience of the Davis programme to really appreciate the true value of the programme – and that it can not really be compared to any other special needs intervention. In fact – it is NOT special needs intervention – it is a new lease of life. 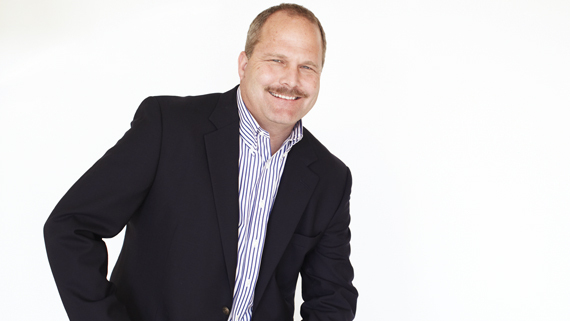 I am a Davis facilitator who became one after seeing my wife going through a life changing programme. Best wishes. 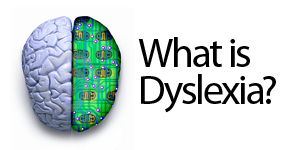 You can call me at Dyslexia Correction Specialties at 909-241-6079 and we can help you. Whoever wrote this, you know how to make a good atrclie. We took the first Davis Autism training together. I remember who much I enjoyed talking with you. I was so touched by your story. I wish I had seen this posting earlier because I happen to be in San Francisco (attending the Davis Dyslexia Symposium). I would have loved to hear you speak. Would you consider traveling to Savannah, Georgia? 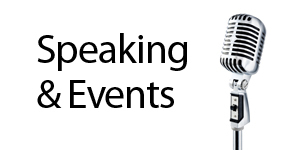 I’d love to host a talk for you! Hi,David thank u for your moving strory.my name is Phindile from South Africa. I’m dyslexia and not helped but have hope that one day I’ll tell the world about my story! wishes for your remarkable work. Nice to hear from some one in India. I have had people fly from other countries here to have me do the Dyslexia Correction Program. You just need to allow a couple of days on the front side of your trip to adjust to the time difference. Let me know if I can further assist you. I just found your site. Congratulations on being able to continue to work the program for other people. Outstanding! I had no idea that you had this problem in High school. I wish I had know I could have been more supportive. I am sorry. I couldn’t be more proud of you! What a good Dad! I never knew during our years in Highschool that anything like this was going on. Praise the Lord!Your are a awesome Dad and person. Thank god david. i have just read your story and am so toched with the way you struggled in school. i am touched because i have a 14 year old son who is dyslexic and we have tried many schools in our country but to no success.i am in kenya Nairobi and would like to be trained and learn more on dyslexia so that i can assist my son and many other parents who are suffering in silence with their children. If you have online facility, it would be helpful for me. 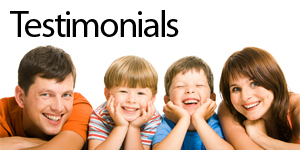 I am happy because you have the experience and realy understand what it means when on is dyslexic. Thanks and God bless you. Wonderful work you are doing. God bless you.